Wang Jianlin has amassed a tidy little empire: The Chinese billionaire is heavily into real estate, hotels, entertainment and luxury yachts. But now Wang wants to add a movie studio to his portfolio. Preferably a big one. The founder of the Dalian Wanda Group is one of a number of Chinese moguls who are calling on Hollywood -- and bringing huge amounts of cash with them. Wang, who is estimated to be worth $24 billion, wants to buy Lions Gate, the studio behind "The Hunger Games" movie franchise. If that doesn't work, he could pursue Metro-Goldwyn-Mayer, the studio more commonly known as MGM. China's second richest man revealed his hand in a recent interview with Bloomberg, disclosing his interest in both companies. "Many people come knock at my door, but Wanda is only interested in the big players and we want control," Wang said. "China's movie industry is booming at unprecedented speed. Buying a well-known U.S. company will help our distribution overseas." Wang already owns the AMC cinema chain, but adding a studio would add substantially to his Hollywood credentials. The main sticking point appears to be reluctance on the part of Lions Gate (LGF) to sell a majority stake. A Lions Gate spokesman declined comment. Hollywood is getting used to interest from China. Fresh off the largest IPO in history, Alibaba (BABA) co-founder Jack Ma -- the only Chinese citizen richer than Wang -- held a series of meetings with industry heavyweights. Alibaba has been moving aggressively into entertainment, snapping up the rights to stream U.S. television shows and films. The e-commerce company already has a deal with Lions Gate to stream "Twilight" and "Mad Men" in China. Tencent (TCEHY), Alibaba's main rival in China, is also busily expanding in entertainment, and has a deal with Time Warner's HBO to distribute shows including "Game of Thrones" and "True Detective" in China. Time Warner (TWX) is the parent company of CNNMoney. For Hollywood, this trend is not just about securing cash -- the industry sees huge potential in the Chinese market. China is already the world's second largest movie market and it's growing fast -- box office receipts topped $3.5 billion in 2013, up 28% on the previous year. 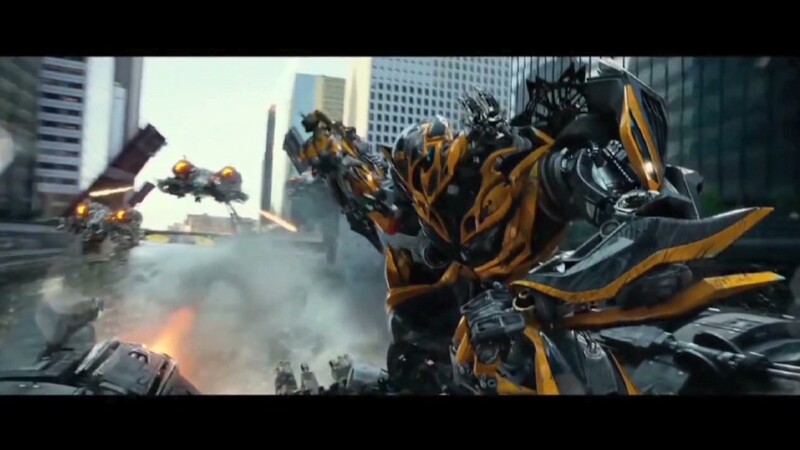 "Transformers: Age of Extinction" is the latest example of this trend. In a first for Hollywood, the fourth movie in the "Transformers" franchise held its world premiere in Hong Kong. Shot extensively in China, the movie includes scenes in Beijing and on the Great Wall. It also features Chinese actress Li Bingbing. Still, China remains a tricky place for filmmakers to do business. Chinese regulators allow only 34 foreign films to be shown in theaters each year, severely limiting access to the latest Hollywood blockbusters. And approved films still face the heavy hand of government censors, who cut anything the Communist Party considers offensive or subversive.